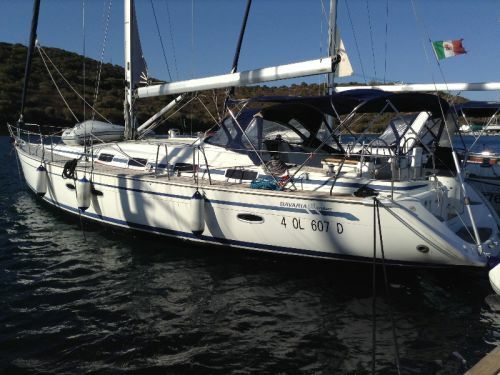 Looking to sail from Sardinia, Italy? 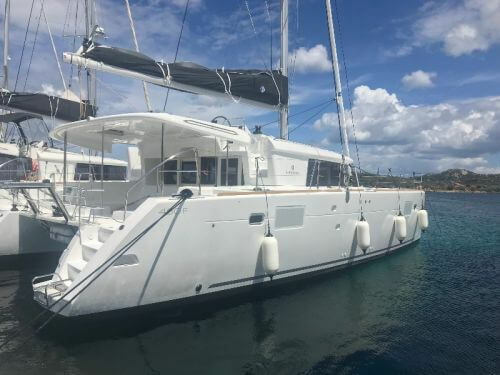 Search to find and book your ideal boat, or read everything you need to know: prevailing winds, where to sail, how to get there and more! 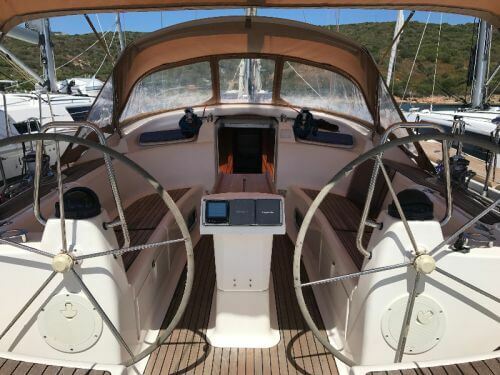 Sardinia is right in the middle of the Mediterranean, but sailing around it can sometimes feel like you're in the Caribbean - everywhere you look there are outstanding white sandy beaches, emerald blue seas, and largely undeveloped coastlines with rugged cliffs and lush vegetation. The nearby Maddalena islands - once a naval base for Lord Admiral Nelson - are now both a nature reserve and a UNESCO world heritage site (and a stunning place to cruise around). 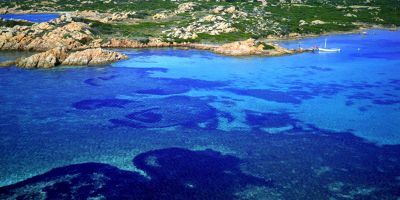 The 'Emerald coast' or Costa Smeralda has long been popular with the glitterati, the rich and famous, which has seen the whole coast flourish with expensive villas, superyachts and luxury goods stores, but the area has been a well kept secret by Italian sailors, who come here en-masse during the peak season. 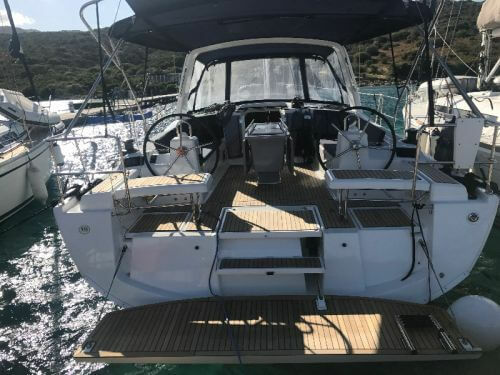 With the fine weather, reliable winds, exciting and tranquil sailing, stunning scenery, and the fact that there is so much to explore (and most of it is only reachable by boat), and so many places to throw down an anchor, Sardinia really is an exceptional and memorable place to sail. Portisco is an ideal starting point for heading northwards to the Maddalena islands - an area of natural beauty which is now both a nature reserve and a UNESCO world heritage site. 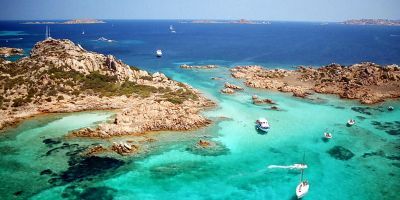 The white sandy beaches, turquoise blue seas, rugged cliffs, lush vegetation, and minimal development of the islands means that they are beautiful and tranquil places to sail, with most of the best beaches only reachable by boat - indeed, only two of the 162 Maddalena islands have roads, and only three are inhabited. Within the islands, the historic town of Maddelena has a delightful old town to wander and admire, there's rugged granite at Spargi, a famous pink beach on Budelli, and Caprera was once where they imprisoned the Italian General Garibaldi - he liked his prison so much that he returned to the island upon retirement and spent the rest of his days there. 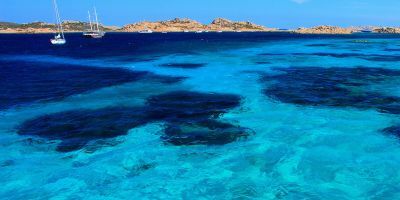 The islands are opposite the Costa Smeralda - one of the most beautiful coastlines in the world, and which is popular with the rich and famous, many of whom have multi-million pound villas or superyachts here. Porto Cervo is the place to go if you're interested in celeb-spotting or buying luxury designer goods. Further afield, the cliff-top town of Bonifacio has to be seen to be believed, and is just a short hop across to nearby Corsica, and there are marble cliffs and long beaches further around the top of Sardinia. 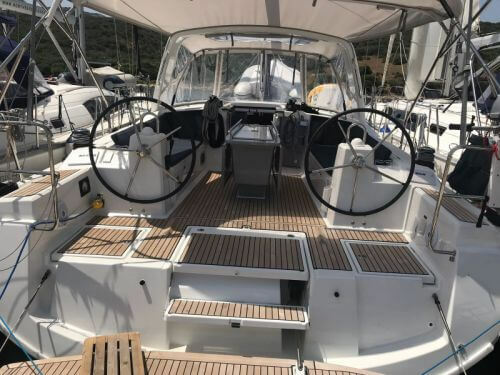 Finally, Sardinia may look like a small island, but it's 400 nautical miles to circumnavigate it, so give yourself at least two weeks if that is your plan. Traditionally, people sail anti-clockwise around it. The Emerald coast or Costa Smerelda is one of the most beautiful coastlines in the world - and also one of the most exclusive. Amongst the turquoise seas and white beaches you'll spot multi-million pound villas, super yachts, designer goods stores, and fine dining restaurants! The stunning Maddalena islands are largely unspoilt and now the whole area is a protected nature reserve. Comprising seven main and 155 smaller islands, there's plenty of places of outstanding natural beauty to explore, with much of it only reachable by boat. An incredible cliff-top town with a medieval castle situated on the south of Corsica that is a genuine wonder to behold. The marina here is surrounded by gigantic limestone cliffs on three sides. 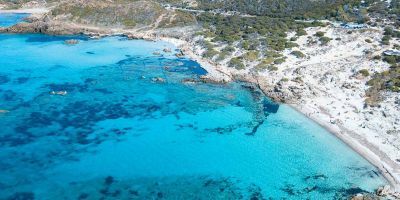 Our six-day itinerary covers 112 nM and heads through the outstanding Maddalena islands, around the Costa Smeralda, and takes in the incredible cliff-top town of Bonifacio, and visiting the must-see places in the area - the whole area is blessed with beautiful beaches and turquoise seas, so at times you'll feel like you're sailing in a rugged version of the Caribbean. This itinerary crosses the Bonifacio strait twice - be sure to check the weather forecast before crossing, as winds go up a force or two as they are funneled through the strait (usually this is fine during the summer, but can get dangerously strong in winter). 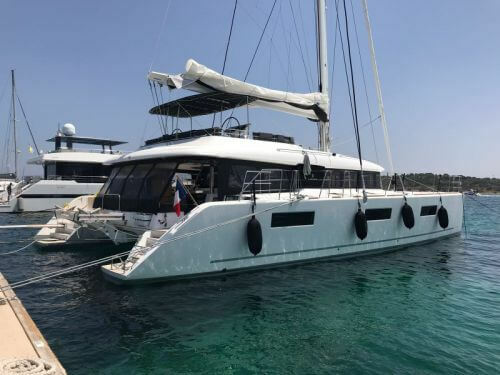 Throughout the summer sailing season, there's reliable force 4 winds which tends to arrive from the North-north-west to West-north-west - which is pretty much perfect sailing conditions, and ideal for sailing to and from the islands in the Maddalena national park. The wind is strongest at the Bonifacio strait, where the wind gets funneled between Sardinia and Corsica, but usually not so strong as to put you off heading to to check out mystical Bonifacio. There are also occasional days where the Mistral winds blow over from Saint Tropez with a little more force in the height of August, but usually only for a couple of days. 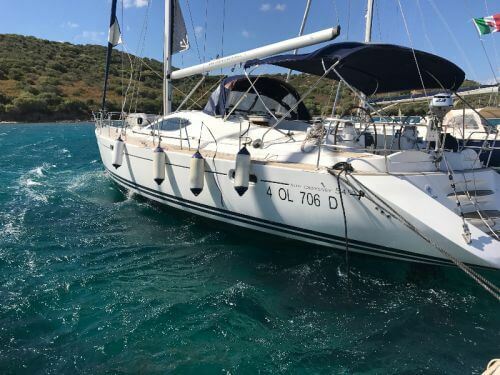 If you're sailing in winter, then be sure to check the weather forecasts before setting sail - the winds can change quickly and dramatically, and can arrive from almost any direction, though, contrary to summer, it most usually arrives from an Eastern direction. What is the Current Weather in Sardinia? Portisco is a small resort where people come to spend their holiday on the beach, basking in the sunshine on the white sandy before taking a dip in the warm sea during the day, and dining in the old town by night. The town itself isn't much to write home about, but then, it doesn't need to be, and it has everything you'll need to have a brilliant holiday. There's also some hiking routes inland, where you can see some brilliant panoramas. 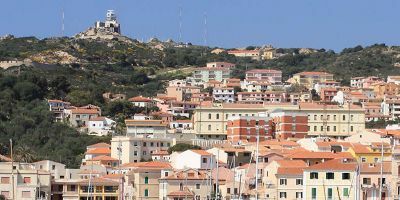 For people who prefer a little culture, then the nearby town of Olbia is packed with historic buildings - with castles, churches, ruins, and narrow cobbled streets to meander around, and only 20 minutes drive away to the south. 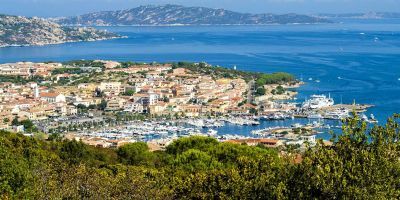 To the north, meanwhile, you'll find the exclusive holiday resorts of the Costa Smeralda, all with splendid views and well kept old towns, with some luxury goods stores and fine dining thrown in. 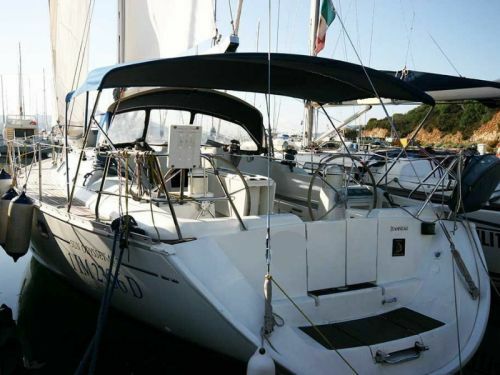 Overall, it's a relaxed and relaxing place to start or end your sailing holiday, and you'll find happiness there. 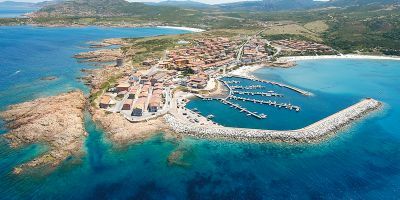 The marina di Portisco is a purpose built marina located within easy walking distance of delightful Portisco old town, on the Emerald coast. As well as all the usuals of water, fuel, electricity, free wifi, and waste disposal, the marina also has it's own pizzeria, restaurant, bar and mini-market. There is space for 539 boats, and the marina is a very professional operation. 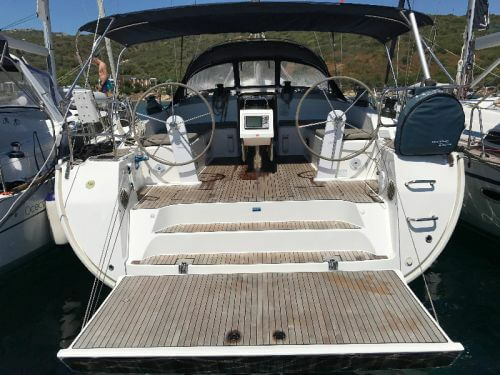 The nearest airport to Portisco is Olbia, which is only a short 25 minute taxi or transfer ride from the marina - PlainSailing.com can help arrange transfers, so please ask. There is also a public transport option available - the 601 bus will take you (slowly) through Olbia centre, before heading out along the coast to Propisco inside an hour. Alghero airport is also within transfer range (1 hour 45 minutes), but the other main airport on the island, Cagliari, is a three hour drive away.